Though the mills of God grind slowly they are a speedy blur compared to progress in the stinking backwater. 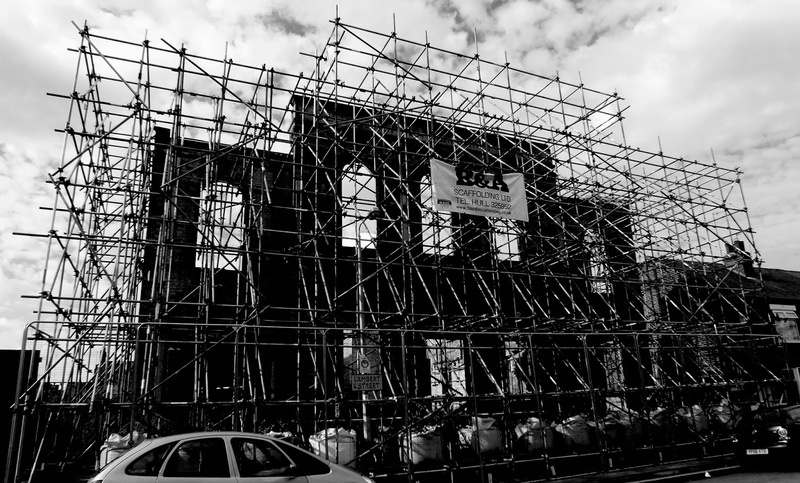 So it is that the burnt out shell of the Lambert Street Chapel remains wrapped in scaffolding as the end times approach. 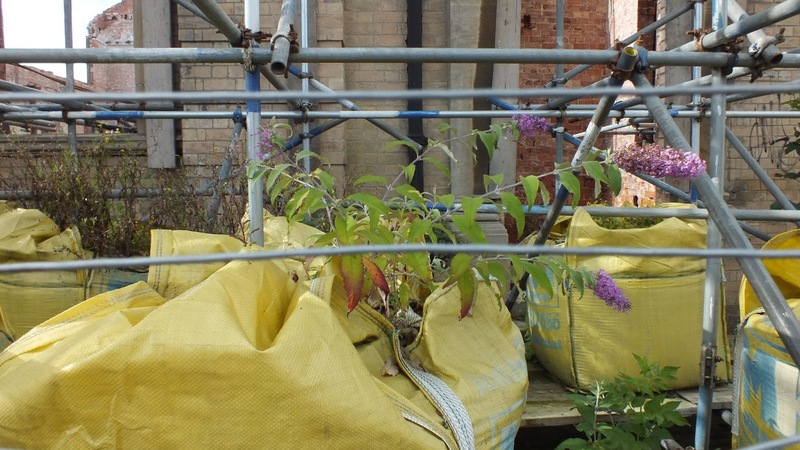 The bags of ballast have become home to a variety of wild flowers. 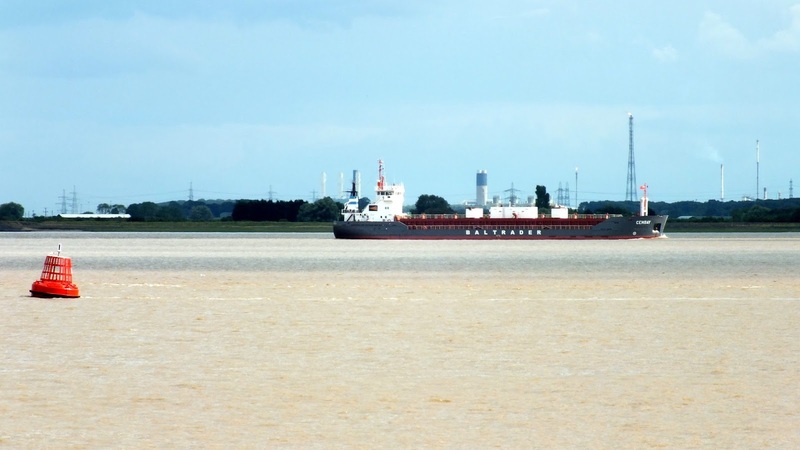 Suppose, just suppose you wanted to stand by the Humber at this point for whatever reason. Maybe you like to wander aimlessly wherever your feet take you or perhaps you like to watch the ships go by or you want one last peek at your enemy as she/he floats by. All perfectly good and valid reasons. And on any day you could freely do just what you wanted. However in this stinking backwater (or City of Culture if you will) the Council colludes with a little known group of scallies who run an annual thing called the Humber Street Sesh; an exhibition of hundreds of desperately untalented noise makers, sorry that should read fabulously gifted musicians from all over the place… (I keep forgetting to type in PC speak). Fine; a ‘festival’, I’m all in favour … But (there’s always a but) to facilitate this shindig the Council not only blocks off the roads to traffic but allows the organisers to set up tolls and charge pedestrians to walk the streets. So for today you will have to pay someone up to £15 for the right walk on your own streets that lead to the riverside and also to the public conveniences on Nelson Street (pay to pee indeed!). This is why I call it highway robbery, they have stolen our streets and are charging us to use them, the noisy bastards!